From Feb 1 2019, the new Oscraps Guidelines state that you need to add your product credits for every page you post in the Oscraps Gallery. There is no need to add any Oscraps store links, just the product and designer is sufficient. Please credit any non-Oscraps designer but please do not mention the store they are at. Follow these steps to edit your layout, either to add credits, edit the text you already have there, replace the current layout with a revised one, copy it to another gallery, or delete it completely. 2. 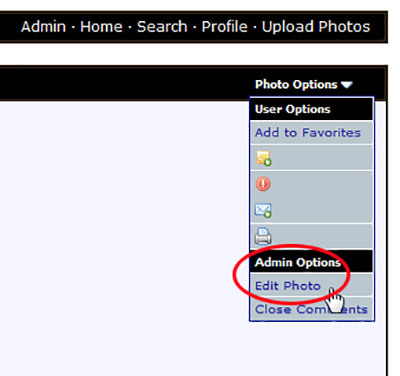 With your layout open, double click on the little symbol next to the Photo Options title, in the top right hand corner. 4. 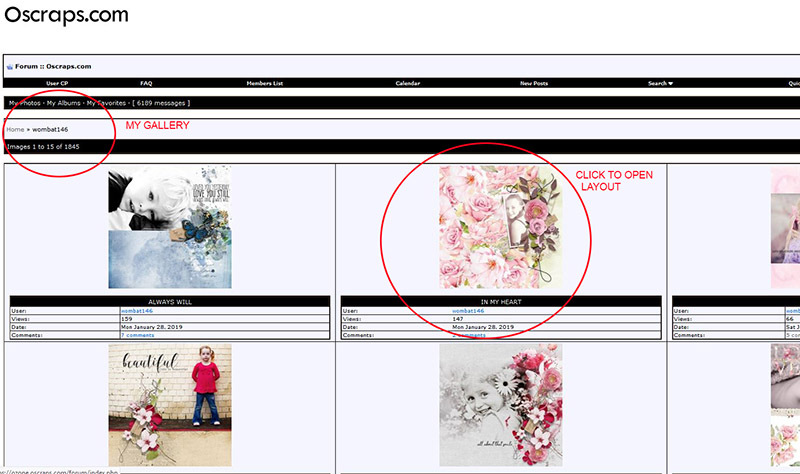 Now you can add your credits, or fix any spelling mistakes, or even add your layout to another gallery if you wish to. NOTE: If you REPLACE your image (a. ), then you may need to clear your cache before the change becomes apparent to you. Clearing your cache depends on the Internet Browser you are using so my need to Google it. It could also be just as easy to close the Oscraps site down all together and re-open it. If you have problems then please post in this thread so that we can help you figure it out! If you have any questions then please ask away! Last edited by wombat146; 02-02-2019 at 07:21 PM.